Imagine yourself standing out in the rain, and the gentle raindrops are tickling your face. Now you can experience the same relaxing and amazing raindrop feeling while taking a shower from the comfort of your own home. If you invest in a rain shower head, you will be well on your way to take your shower experience to a whole new level and turn your shower activity into a soothing rain forest feeling. Nothing compares to take a relaxing shower in the morning, letting the raindrop effect do its magic and wash away your sleepiness. It feels amazing, giving a sense of tranquillity & relaxation. This is a fantastic way to wake up fresh and ready to tackle a busy day. Shower heads have become veritable designer objects in the bathroom, they are ever more important. Bringing together the essential elements of a great shower. What is the difference between rain shower heads and normal shower heads? Rain shower heads which are also known as rain heads tend to be wider than your run-of-the-mill shower head. That’s because instead of spraying a concentrated stream of water directly at you, they hang directly over you and shower you more gently. That means you get a more luxurious, spa-like experience, but it also means the head needs to cover more area. Many doubt that a rain shower head won’t be able to deliver the same kind of water pressure that their normal shower heads can. It’s true – rain shower heads are different, but they can still deliver a high-enough pressure shower for you to feel clean. To ensure that the moment of taking a shower assumes an ever greater significance, there is a vast range of multipurpose shower heads with their striking visual impact. Most people find the rain to be truly relaxing to look at and to feel. The chance to enjoy such a refreshing feeling whenever you want to and in the comfort of your own home can be priceless for many. The presence of air disrupts the continuous flow of water to produce their version of raindrops. A unique, near-natural rain feeling is created by 345 finely adjusted individual nozzles. A head shower and a body shower make a pleasant shower rain down. The raining effect of these showers is also directly related to the size of the shower head. Opting for a wider shower head will give a more realistic rain experience. No matter which choice you make, rain showers will give you a refreshing shower experience. Don’t be deceived by the looks of the Switch by Bongio. It may appear as a regular wall lamp, but it is actually a clever wall mounted shower head for your bathroom. 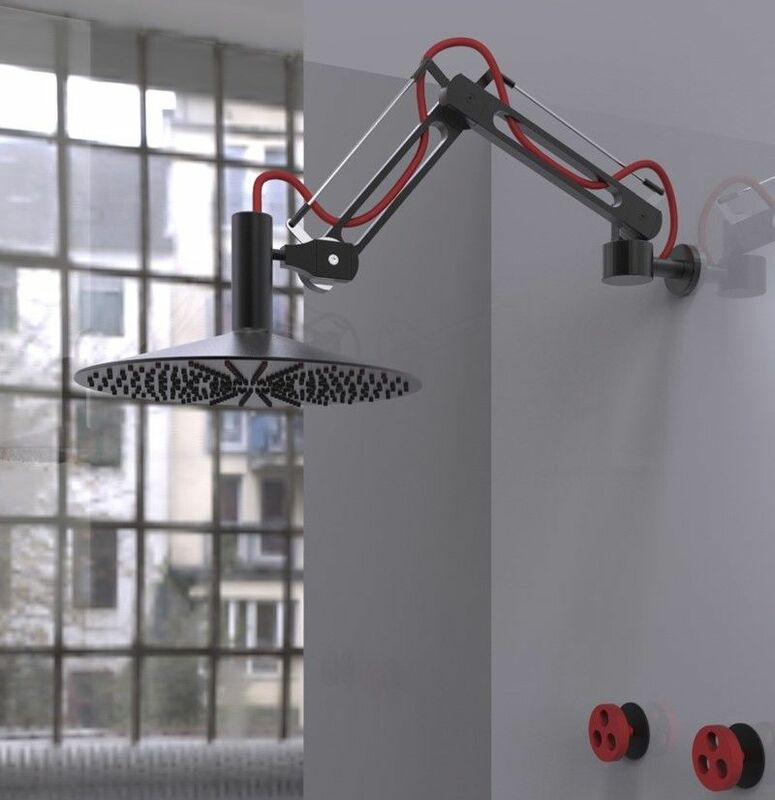 Fixed at the wall of your bathroom, this rain shower head undoubtedly resembles a Pixar wall lamp with a flexible head. A colorful cord and on/off switch add splashing vibrant hues to its black and gray body. The strong presence of this blue or red power cord makes the rain shower head seem more like a wall lamp than an ordinary shower head. The Funky design of Switch tap will surely leave your visitors talking, especially when they suddenly realize that on switching on the lamp there won’t be any light. Instead, the lamp pours a rushing stream of water. It will indeed be a fun addition to your bathroom space, leaving your guests wondering what just happened. The special cold water mist nozzle offers a refreshing change. Like morning dew, it gently wets the skin, provides pleasant coolness and makes the natural experience of the shower head perfect. This is one of the most unorthodox types of showers. Waterfall showers emulate, as the name suggests, waterfalls. Once you see and experience the magic of waterfall showers, there is nothing that can top it in terms of bathing experience. Your body is so used to taking showers that are under thin sprays or drops of water. Going under a waterfall shower and feeling the heavy rush of water can become a fascinating experience. You can feel the stress and exhaustion get washed away by waves upon waves of streaming water. It is really an experience like no other. 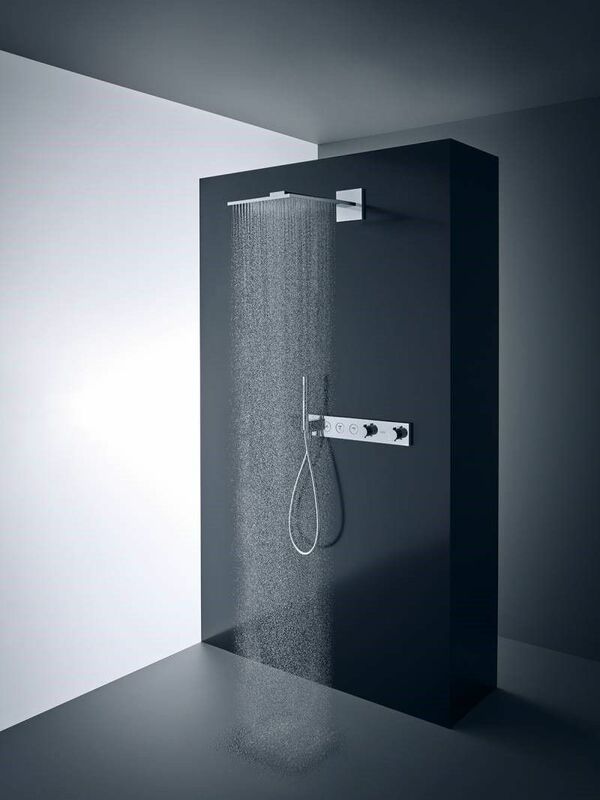 Cascade Flow technology creates a shower experience similar to standing under a curved waterfall. 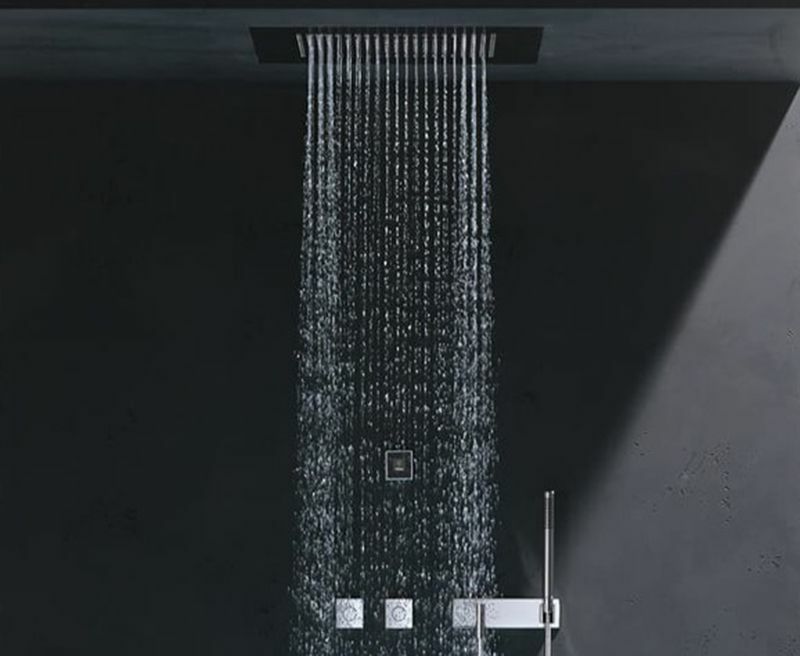 A curved slit in the shower head allows a wide stream of water to flow, warming and soothing the entire body for long-lasting relaxation — even after the shower. In the first image, Rediscover The Thrill Of Bucket Bath with TumbleRain Shower. A Shower that takes you back to a simpler time, to the fond memories of being inundated with a wave of water as the thrilling climax of the bath time ritual. With this overhead shower, the water undergoes a powerful enactment: from revitalizing water jet to soothing shower rain. Every element equals luxury squared. Geometric, minimalist design. 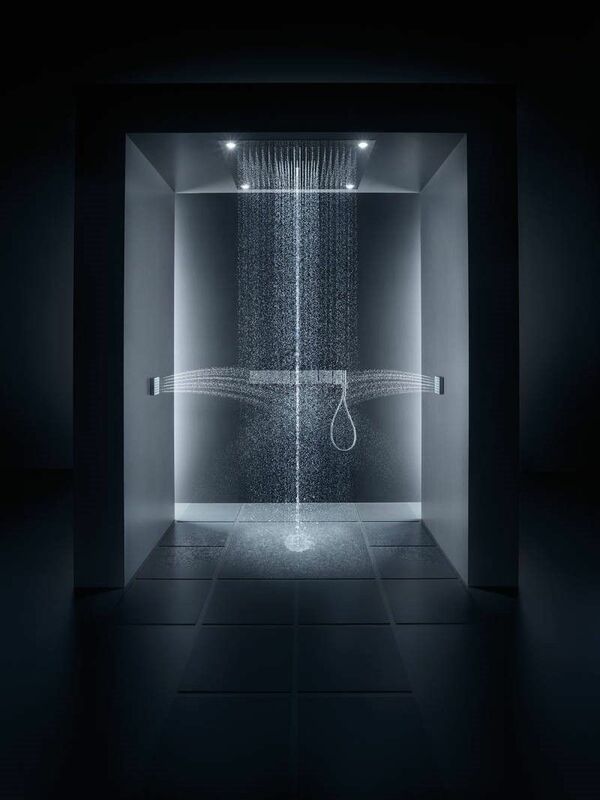 This Shower Head designed by Philippe Starck is a system. It can be arranged and combined in a variety of ways. Vertically. Horizontally. 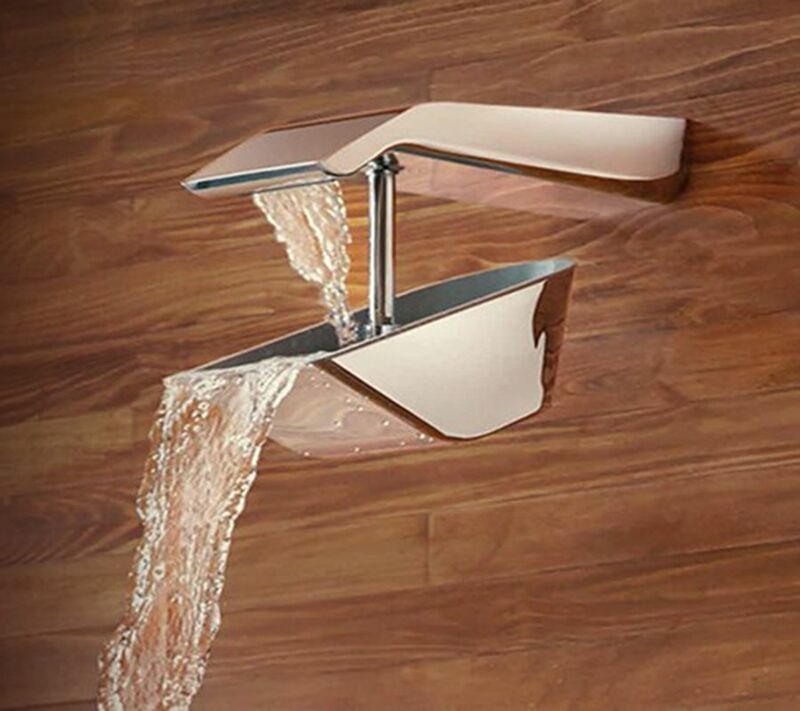 Basically, The single flow of water in the center is called mono spout showerhead. With three jet types in the extensive overhead shower. The shower becomes a customized spa for staging water in a personalized way. The Raindance Rainmaker Air surrounds you in a gentle downpour, washing away stress and exfoliating your skin. 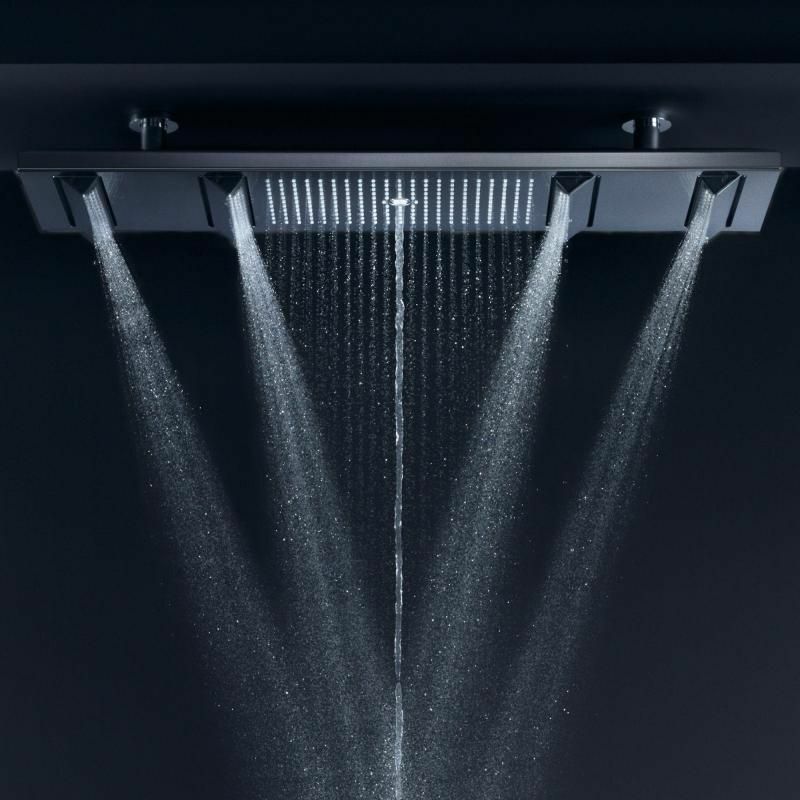 It features a huge 680mm x 460mm face with 3 separate shower modes – not patterns either, modes that are designed to relax and invigorate you from head to toe. Each mode offers something unique, from ‘RainAir’ which mixes microbubbles into each waterdrop for silky smooth water. 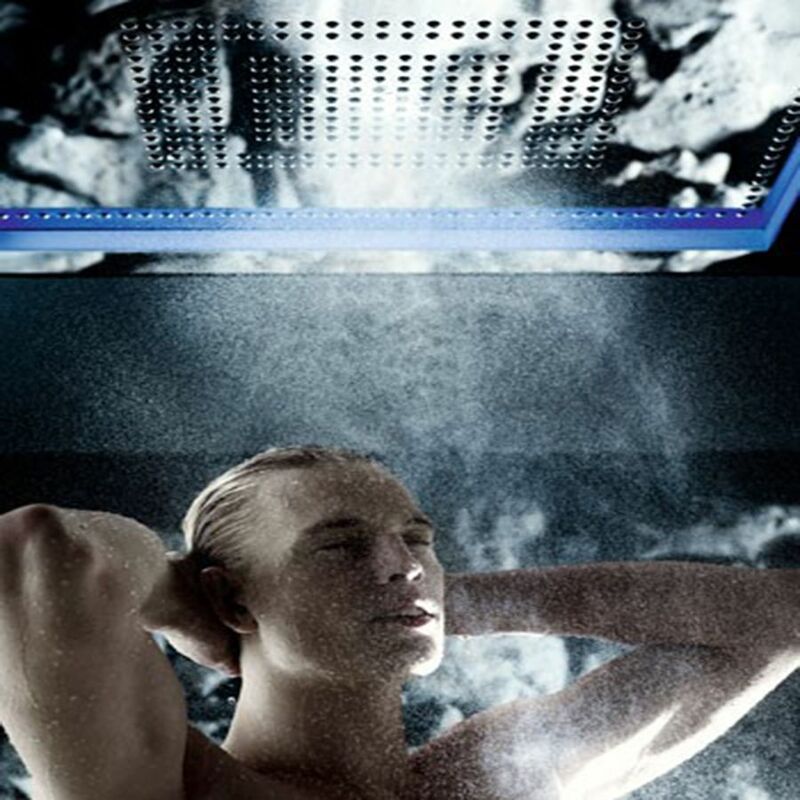 ‘RainAir XXL’ provides a vigorous shower that drenches you entirely. Finally, there’s the choice of ‘WhirlAir’ which is ideal for rinsing hair and massaging muscle ache. 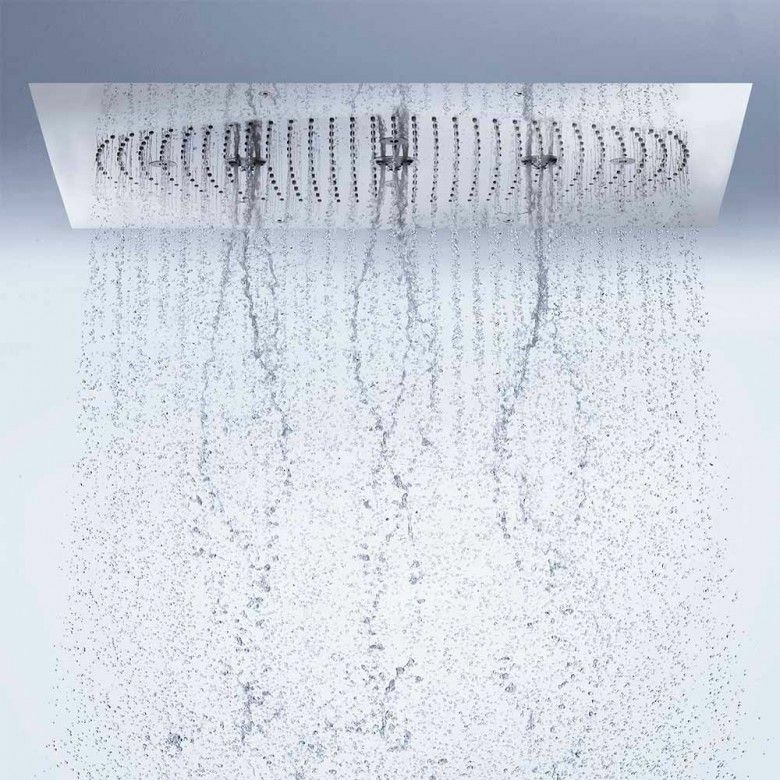 This shower head is the ultimate in luxurious showering. Not only does it provide a sleek and sophisticated shower whivh is absolutely perfect for those who are designing a minimal bathroom scheme but it also provides you and your family with an enveloping shower you’ll never want to leave. 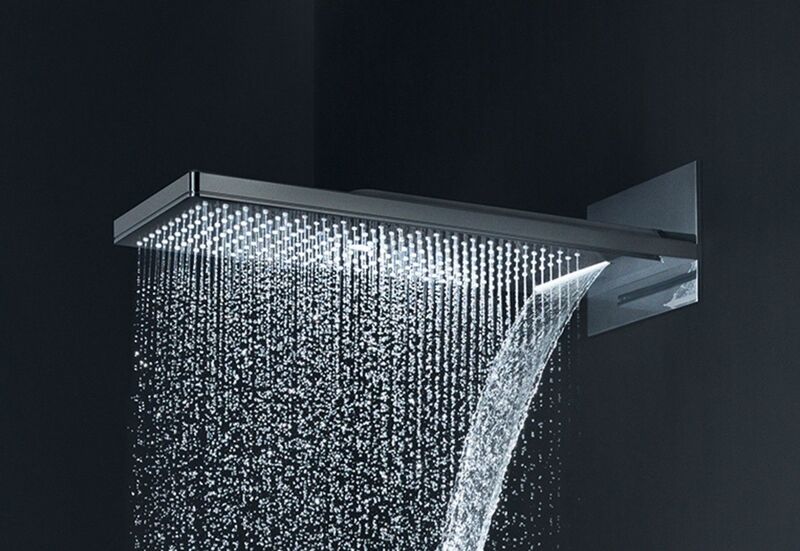 One can even upgrade this shower head to include integrated lighting. With integrated lighting, one can create a bright and spacious shower interior or switch off your main lights in the evening for a cosy and atmospheric ambiance. 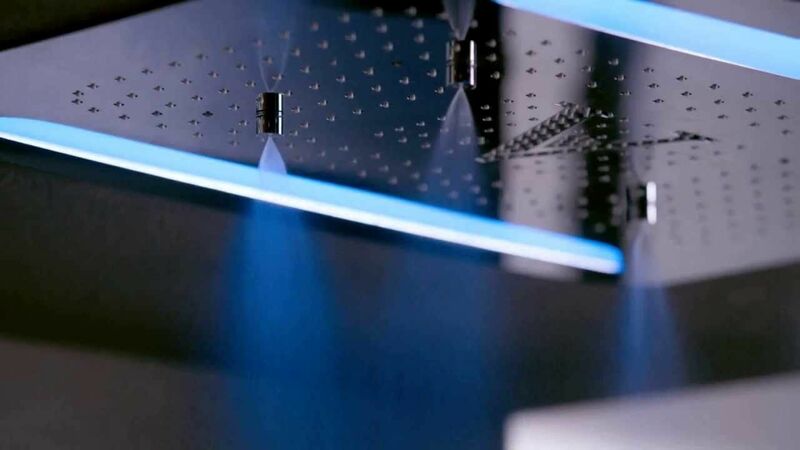 The latest lighting technology is used to produce the different mood lighting of the Shower Heads. Integrated into the rain sky are four LED spots and an all-around light frame. 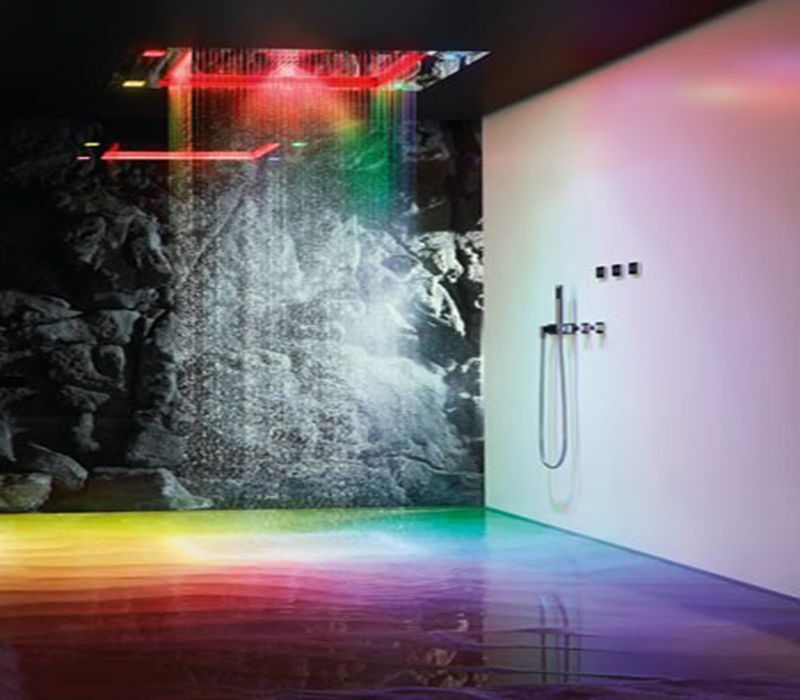 The latest lighting technology is used to produce different mood lighting in the Shower Heads. Integrated into the rain sky are four LED spots and an all-around light frame. A power-multichip RGBW light source allows intelligent activation of individual colour channels, colour mixing from across the entire RGB colour space and gradual adjustment of the white-light range from 2,000 to 10,000 Kelvin. Thermal management is excellent – and a guarantee for a long service life – and is equipped with precise lens technology to direct the lighting unit and limit its glare. In this way, Shower Heads reflects the entire range of natural mood lighting – from a gentle sunrise to radiant daylight or expressive sheet lightning, to a calming sunset. 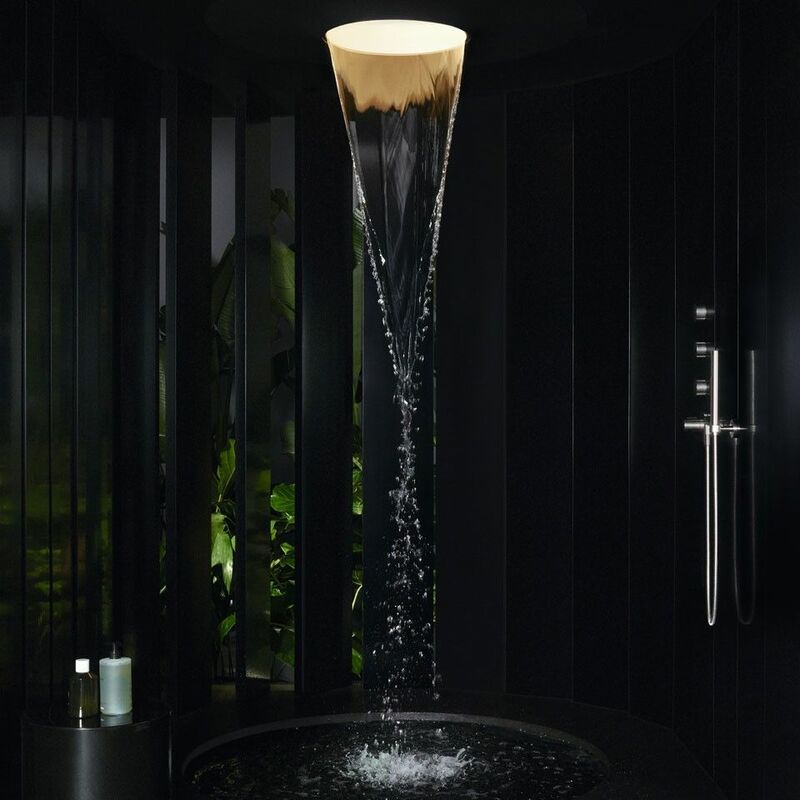 A special feature of showerheads are the fragrances attuned to the Signature Treatments, as they are inspired by the actual weather phenomena and moods of nature. They are produced using high-quality, natural, essential oils, aromas and balms, and accentuate the therapeutic effect of the water. In addition, all fragrance compositions are tested by the International Fragrance Association IFRA, which ensures the high quality and safe enjoyment of the fragrances.